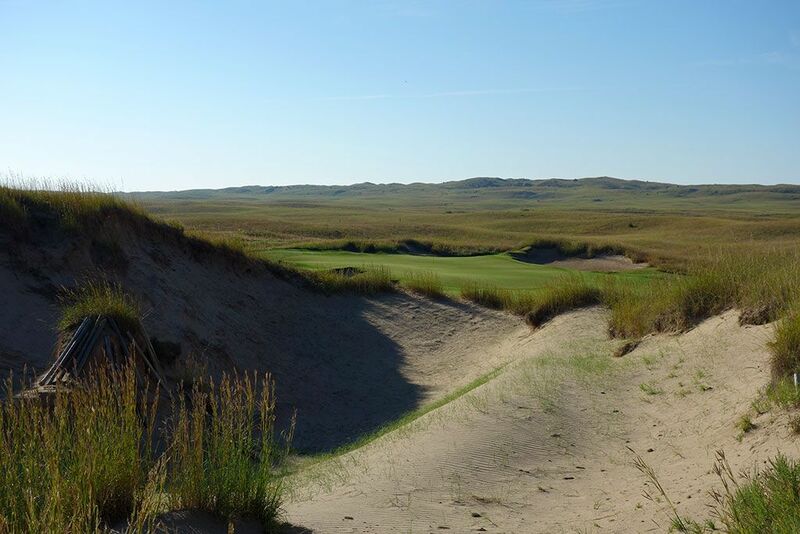 Course Website: Official Website - Visit The Prairie Club (Dunes)'s official website by clicking on the link provided. 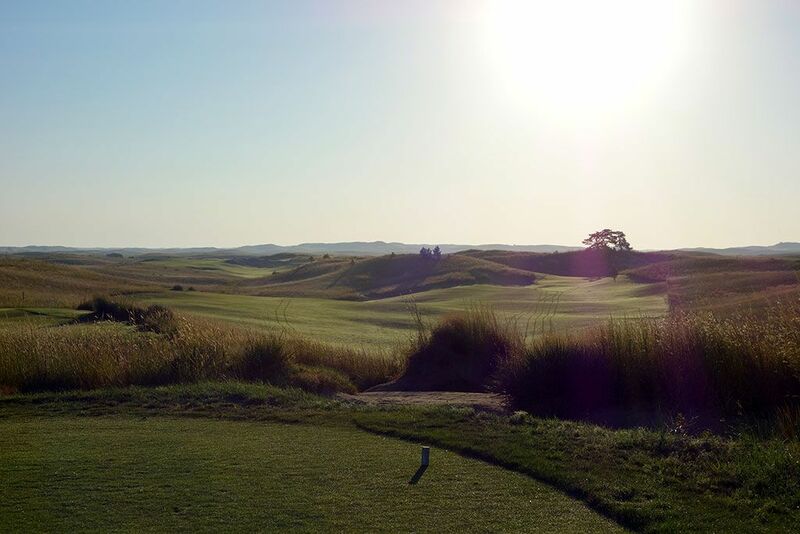 Accolades: Ranked 1st in Nebraska on Golf Course Gurus' Best in State list. What to Expect: The Prairie Club is half private club and half resort with one of the two courses being designated as members only access each day. 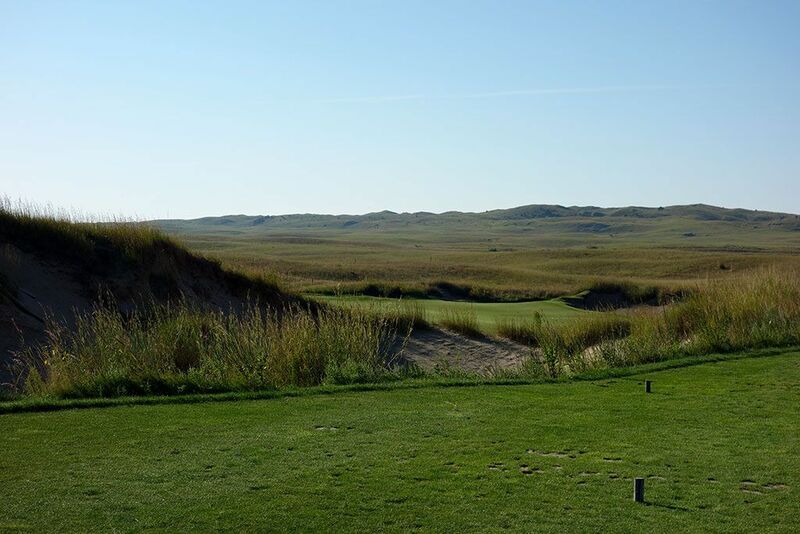 Located in the Sandhills of northern Nebraska, the Dunes course enjoys a special remoteness with views for miles across the choppy rolling hills that are so unique to that region of America. Tom Lehman and Chris Brands put in the widest fairways and largest, most creative greens you are likely to ever come across. A huge variety of playing angles, lengths, tees, and options exist throughout the layout which will provide countless scenarios to enjoy. 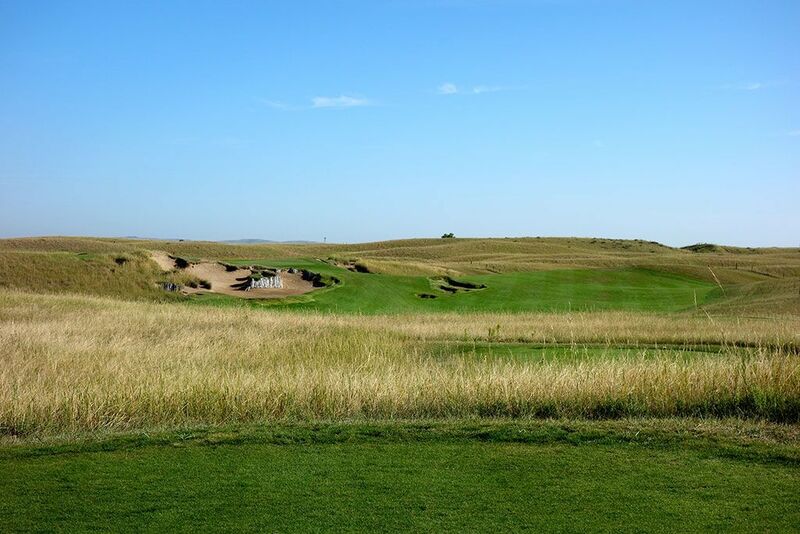 The mammoth bunkers fit perfectly in the vast environment surrounding this impressive property. If there was one complaint at Prairie Dunes it would be in the conditioning where certain spots are barren but there is so much healthy turf to play on that it rarely becomes an issue to deal with. The undulated greens roll pure and fast which makes playing the contours all the more enjoyable. The resort features accommodations for overnight guests, a beautiful yet rustic theme in the clubhouse, and excellent dining. In fact, the Bull Bite Steak Salad goes down as possibly the finest salad I've ever had the pleasure to eat. 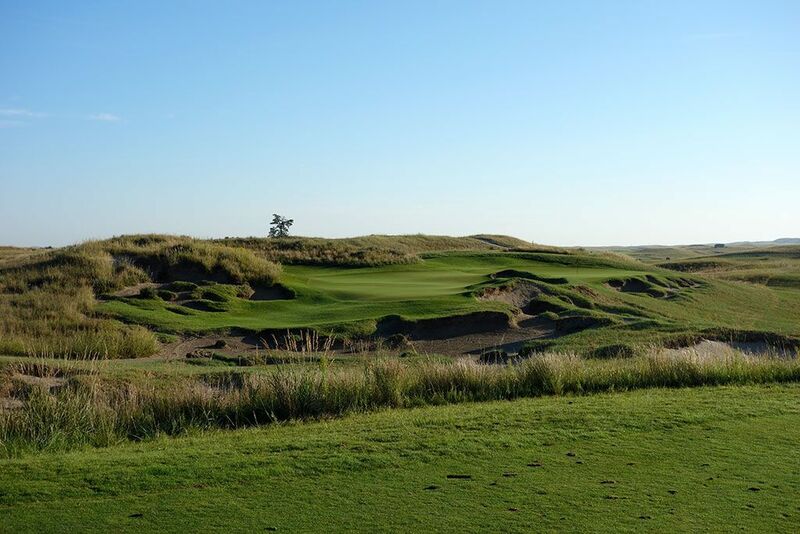 All in all, The Prairie Club is a first class operation with the Dunes course being one of the best courses in the country; public or private. Signature Hole: 4th Hole – 145 Yard Par 3 – Everything about the Dunes course at The Prairie Club is on a grand scale; huge fairways, expansive vistas, and massive greens. Perhaps the largest putting surface on the course is found on the 4th hole with the green stretching nearly 80 yards from the front edge to the back. A large bunker encroaches in from the right which acts as a divide between the front and back pin placements. The fescue, green contours, and bunkering create a beautiful combination on this hole that can play as much as six clubs different depending on the hole location. As a side note, this is the only hole I three-putted at the Dunes. This is really a testament to the genius putting contours players can utilize to feed the ball near the hole more so than any testament to my short game skills. Best Par 3: 7th Hole – 171 Yards – This attractive par three plays downhill to a bowled shaped green protected by a collection of expansive bunkers. 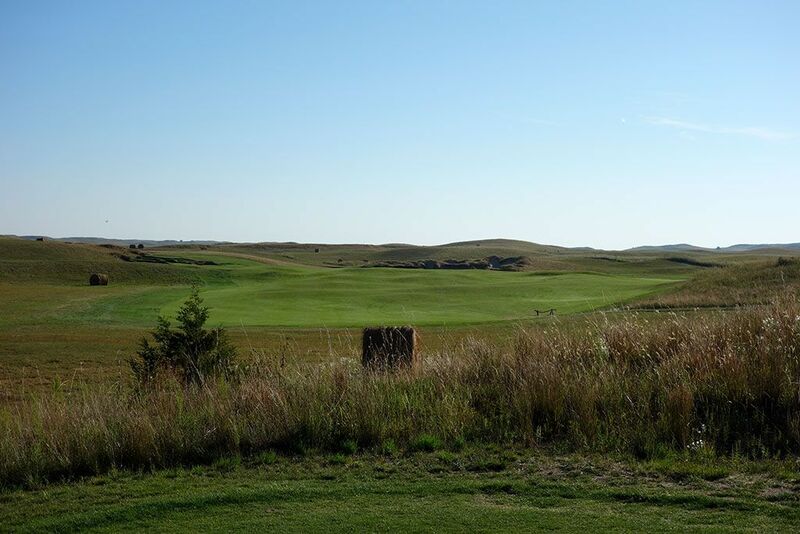 The views from the tee are expansive with miles and miles of nothing but sand hills in the distance. The green is large and any tee shot hit to the middle should lead to a routine par while anything off the green presents a stout challenge at scoring a three. Best Par 4: 2nd Hole – 478 Yards – Every time I think of the Dunes course at The Prairie Club the word 'expansive' comes to mind and it does again here at the 2nd hole that features one of the biggest fairways on the property. With no fairway bunkers in sight there is nothing stopping you from gripping and ripping your driver as hard as you want. Where the hole gets interesting is up by the putting surface where the fairway tightens down to one of the narrowest openings to a green that can be found on the course. The saddle green sits in a natural dunes amphitheatre and boats a large bunker on the left that should be avoided at all costs unless the pin is in the front third of the green. With a lone tree framing the back, a hillside of decorative bunkers beyond the putting surface, and the amphitheatre setting; this was easily one of my favorite green sites. Best Par 5: 12th Hole – 548 Yards – The fourth of five par 5s on the property, the 12th hole is a bit of a double dogleg although that term is used here loosely given the width of the fairway and general lack of corridors players are forced to play through. Flirting with the life side cut line takes players to the high point of the fairway and generates the most distance and thus a chance to reach the green in two. The most reachable of the par fives also presents the most treacherous greensite to attack with a plethora of bunkers protecting the raised putting surface. If you manage to avoid the sand, I almost assure you that someone in your foursome will fall victim to the green's false front which can repel an approach shot as much as 20 yards. With the green tilting from left to right the best approaches come from the right side and utilize contours to the player's advantage. 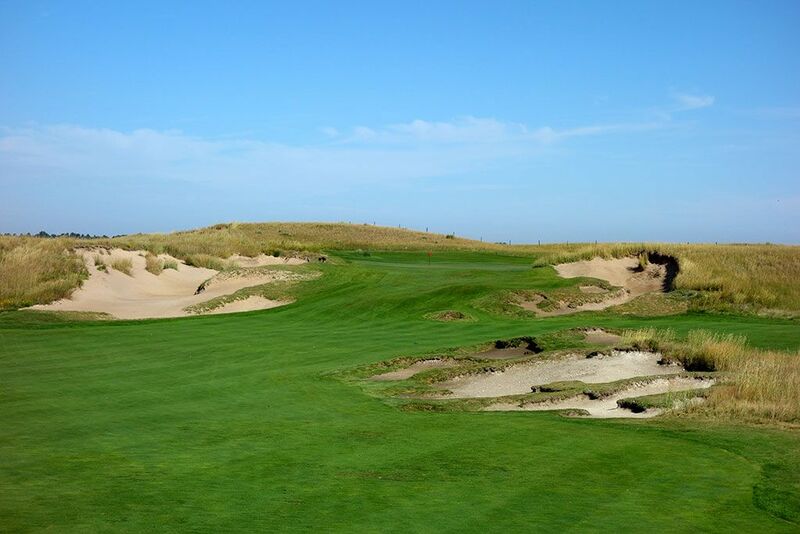 Birdie Time: 11th Hole – 364 Yard Par 4 – There are several great holes on the Dunes course, but the 11th was my favorite with the options, risk/reward, and exhilaration it can provide. Much of the driving zone is blind from the tee with a large bunker on the left, a centerline bunker, and hilly fairway blocking the view of the ideal landing positions. Players bold enough to challenge the huge blowout bunker on the left can be rewarded with a forward kick that would feed the ball onto the green yet if the ball feeds beyond the green players are faced with one of the most difficult up-and-downs on the course. Players staying right of the blowout bunker are afforded more margin for error with their tee shot yet are faced with a challenging approach shot due to the crowned shape of the green that demands pin point accuracy and spin control. I love this hole since it allows players to play to their strength; length or precision. 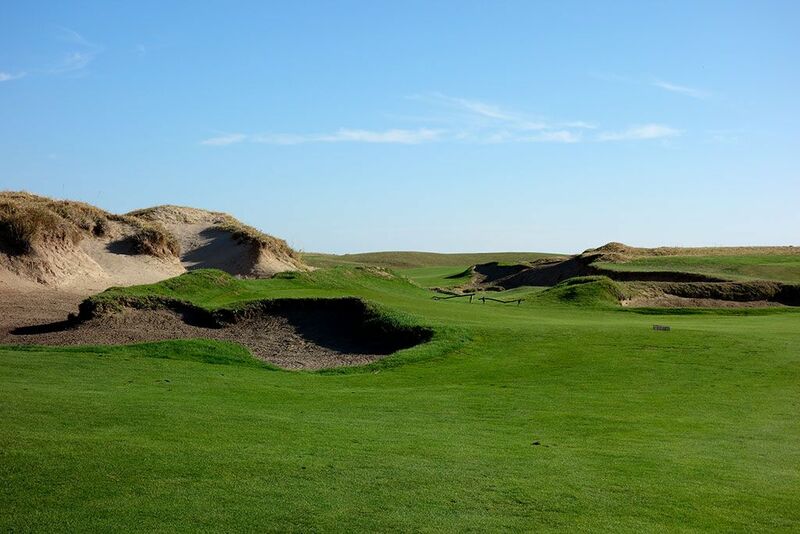 Bogey Beware: 8th Hole – 481 Yard Par 4 – Not only is the 8th hole less than ten yards shorter than the longest par four on the property, it features perhaps the most intimidating approach shot the Dunes throws at you during the round. Players hit out to a fairway that doglegs left and gets increasingly narrow the closer to the green it runs until it is pinched off completely by bunkers. From the fairway you aren't guaranteed a clean look at the green and are forced to play an aerial shot over the extensive bunkering to a green that tilts to the right and features a blowout bunker on the left. Players will have a mid to long iron, or possibly a fairway metal, in their hands with a best a semi-blind look to a challenging greensite. Good luck carding a par, not many players will pull it off.